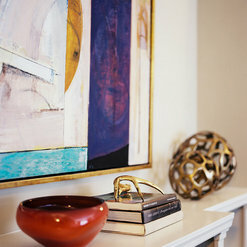 danielle colding design, inc. is a full-service interior design firm based in New York City. Since it's inception in 2006, danielle colding design, or dcdny, has taken on a wide variety of projects from high-end residential to distinctive commercial design projects both in the United States and abroad. danielle’s work has been published nationally and internationally, and she is a budding television personality and design expert. A frequent contributor to philanthropic efforts including the Ronald McDonald House and DIFFA, danielle is committed to both the design community and to giving back. Winner of Houzz's Best of Service for 2014 and noted as of one of 18 Designers to Know by Huffington Post Home, dcdny prides themselves on excellent client relationships (including many returning clients for multiple projects) and a commitment to happy and successful design collaborations. Not wedded to one particular style or era, danielle colding design works focused on their clients’ design aesthetic, and carefully enhancing them, producing the chic, timeless and elegant results every client appreciates. 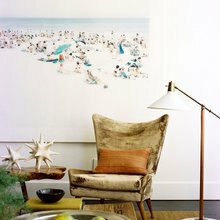 Classic elegant spaces with comfortable, layered eclectic charm are the hallmarks of dcdny”s work. There are no plastic covered sofas and stiff "you can't sit on that chair" spaces here. With an eye to tradition, yet still open to the inventiveness of the future, this firm loves collected spaces. The goal is to design environments that feel like they've evolved over time. Whether its the incorporation of family heirlooms, a personal art collection or objects collected on world travels, they seek to make each space unique and reflective of those who inhabit them. danielle colding design's work has been featured in numerous design publications in the US and abroad including Better Homes and Gardens, Ebony Magazine, HGTV Magazine, Lamasat Magazine in Beirut and Inspired Living in Dubai . Online publications include Lonny Magazine, Elle Decor, House Beautiful, Apartment Therapy, and New York Spaces Magazine. 6 Projects for danielle colding design, inc.
4 Reviews for danielle colding design, inc. 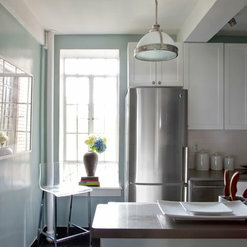 I hired Danielle Colding Design to do a total gut renovation of my kitchen. They did an amazing job, I would definitely recommend them to friends and family. Danielle came up with a design for my kitchen that maximized the space, gave me more counter space and made the room more airy and open. I actually enjoy being in there now, which was not the case before. We added a dishwasher, moved the refrigerator and so much more. I didn't know what I wanted for any of the finishes. Danielle listened to which colors and materials I liked and then pointed me towards tile, paint colors, cabinets and fixtures all within my aesthetic. I never would have found my kitchen floor tile, countertop, or Kelly Wearstler wallpaper for my dining nook without her. My apartment is totally me, but better.--Much, MUCH better. And she came in on budget--when does that happen?! Danielle has designed a few of my homes within the US and Mexico. She is not only competent in design, but also in human relations. She listens to her client and knows when to push the envelope to more inviting concepts that mesh beautifully with the ideas of the client. When it comes to design, there's no one better than DCDNY! Danielle Colding and her design team recently undertook the task of transforming my Manhattan office into a personalized, welcoming, and truly unique space. Danielle and her team were always professional, prompt, and receptive to my input. They found unique and uncommon pieces, such as colorful prints and a wooden bike rack – what was once a frustrating storage problem has now become a focal point on my wall. They worked around the color palette that I preferred and were always courteous and professional with their suggestions for what would look best in the space. My office is now truly welcoming and homey, instead of simply the place where I work. I would recommend Danielle Colding Design for anyone looking to transform ordinary rooms into original and individualized spaces. Danielle is a phenomenal designer and a pleasure to work with. My lifestyle at home has significantly improved with the upgrades she made. Her attention to detail and keen eye are impeccable. Danielle and her entire team posses a pleasant demeanor that brought a great deal of comfort as we made changes to my home. I find them to be incredibly talented, efficient and always responsive. I couldn't be more pleased with the results. All in all, the entire experience was a fantastic. Highly recommended! 3 Ideabooks for danielle colding design, inc. Commented: Hi i like the desk for my bedroom where can I get it?It's by Worlds away. You can purchase online. Zincdoor.com among other carry it. Commented: Gorgeous! Who is the manufacturer of the console?Gina, my client found it… it was one of those catalog places… i will try to find the info and get back to you. Commented: This rug is exquisite, could you tell me more about it?Thank you so much! This rug my client already owned. It is definitely a newer piece. I will ask her about the source.